I was born in Ohio some 60 years ago. I moved to Arkansas almost 30 years ago. 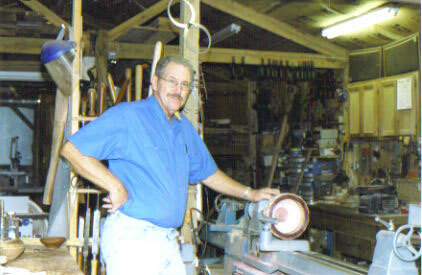 I live alone, so I can devote a lot of time to my wood turnings. 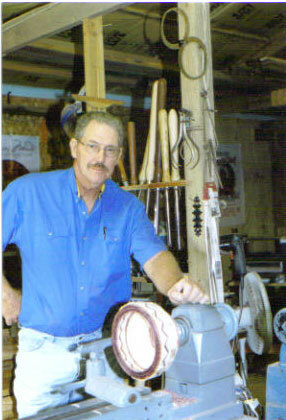 I started turning wood over 20 years ago on a homemade spring pole lathe. Over the next several years my equipment improved and so did my turning skills. Whenever I thought I was at the top of my skill level I would try to push myself to a new higher level. About 10 years ago I started doing some simple segmented bowls. Every year or so I try something a little more challenging. I have come a long way, but I still have a long way to go.